Cheap air tickets from France to Caribbean (Guadeloupe,Martinique) starting at €300 roundtrip !! Finnair: Return tickets from Europe to New Delhi from €320! Looking for an interesting solution to French Caribbean Island alnd you would like to fly in peak season you might be interested in current promotion based on carrier Air Caraibes. Return tickets from Paris Orly to Martinique (Fort-de-France) or Guadaloupe (Pointe-à-Pitre) starts from €300. This fare is for a (non-stop) return ticked including all taxes and fees. (Note that checked bag up to 23kg has to be purchased separately and is not included in base fare with Corsair but already included in solution with Air Caraibes). If interested in this solution with Air Caraibes you will find limited travel dates between January and June 2018. Blackout period around Christmas holidays. You can also book this deal directly with the carrier for slightly higher fare also you can compare all available dates at their website. Below you can find our booking samples to both Caribbean destinations. You can check your connection possibilities via Skyscanner. This tool gives you quickly an idea which airlines are available from your home town. To further discount your accommodation in Guadeloupe or Martinique consider promotion codes that offers Booking.com. Hotels.com or Amoma. 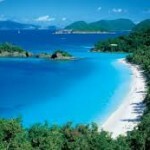 Booking sample of Cheap air tickets from France to Caribbean (Guadeloupe,Martinique) starting at €300 roundtrip !! In this case you would depart from Paris to Fort-de-France on 29th of January. Your return flight from Gudeloupe back to the Europe would be on 13th of February 2018. Want to visit this beautiful Caribbean isle right in the middle of upcoming main tourist season this is an excellent oportunity for most of the travellers in Europe..